I am having trouble installing a new wireless thermostat to my existing Weil McLain boiler. My existing control wire utilized an Rh and W on the thermostat, but utilized the Y and G terminals on the boiler itself. 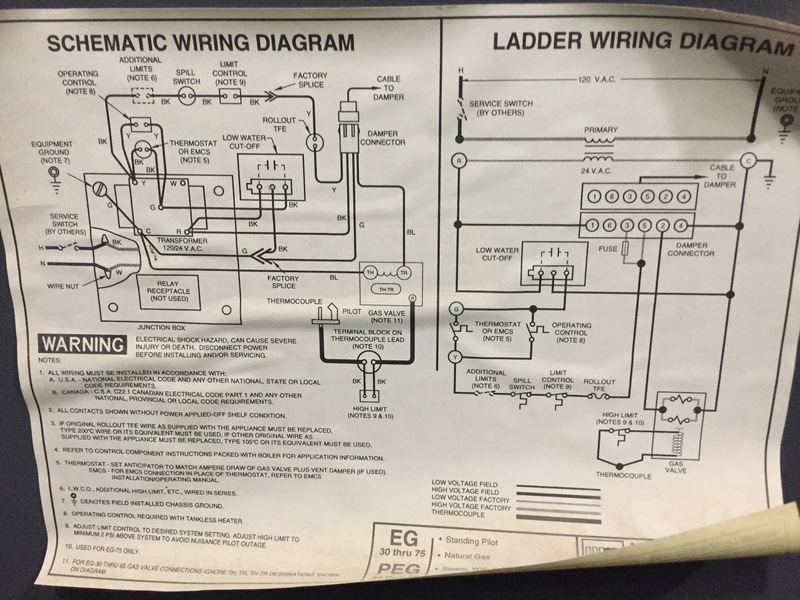 The installation manuals indicate I need to connect a new C-Wire from the C terminal from the boiler to their c terminal on the thermostat and reconnect the other wires as is, but that doesn’t work. Do I need to relocate the wire on the Y terminal to the R terminal or am I missing something else? Browse other questions tagged thermostat-c-wire or ask your own question. How do I connect a C-wire on a Triangle Tube Prestige Solo 110? How should I attach a C wire on my chromalox boiler?